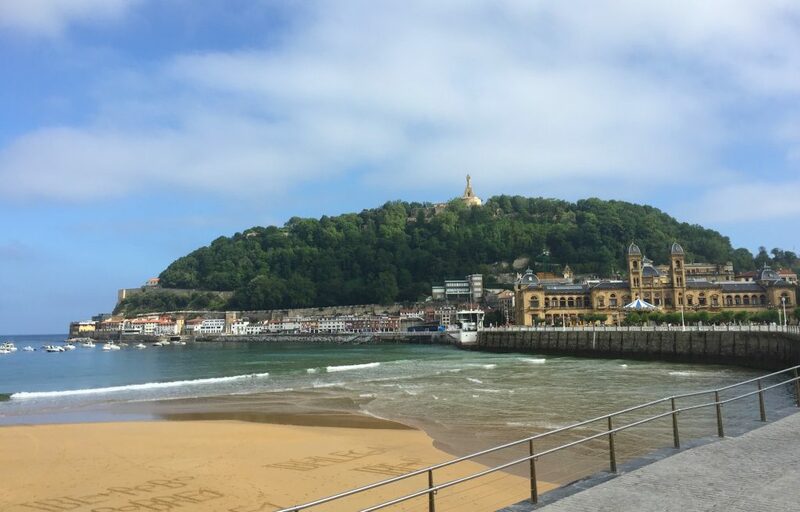 Before visiting San Sebastian, I was worried. 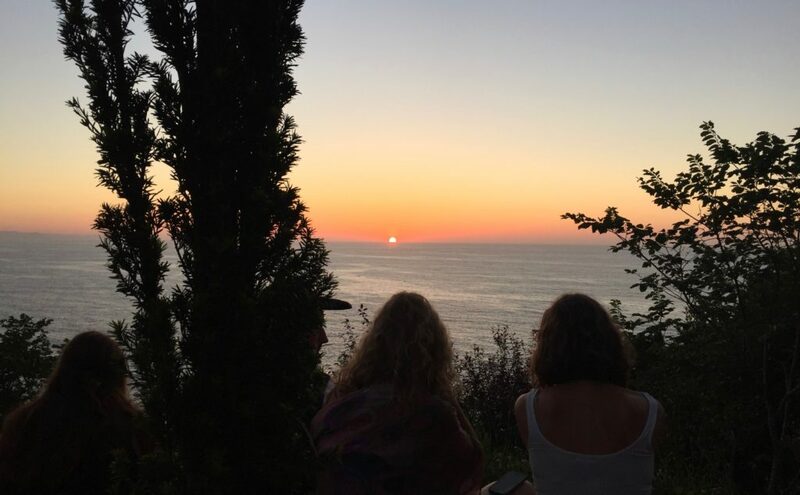 People talked up this place like it was some unearthly paradise – ranting about the beaches, raving about the food – and I feared that it wouldn’t live up to the hype. Not the case. SanSe is as amazing as people say it is. 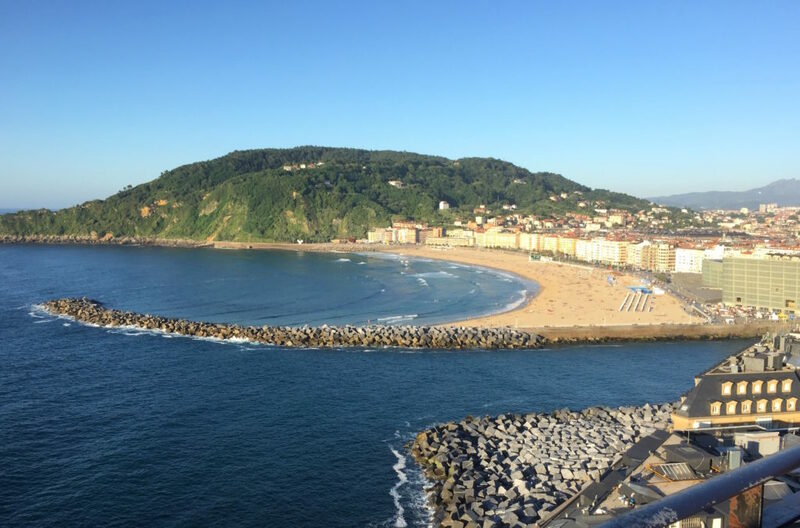 Between the beaches, the hills, the cliffs, and the architecture, this Basque city is just gorgeous. 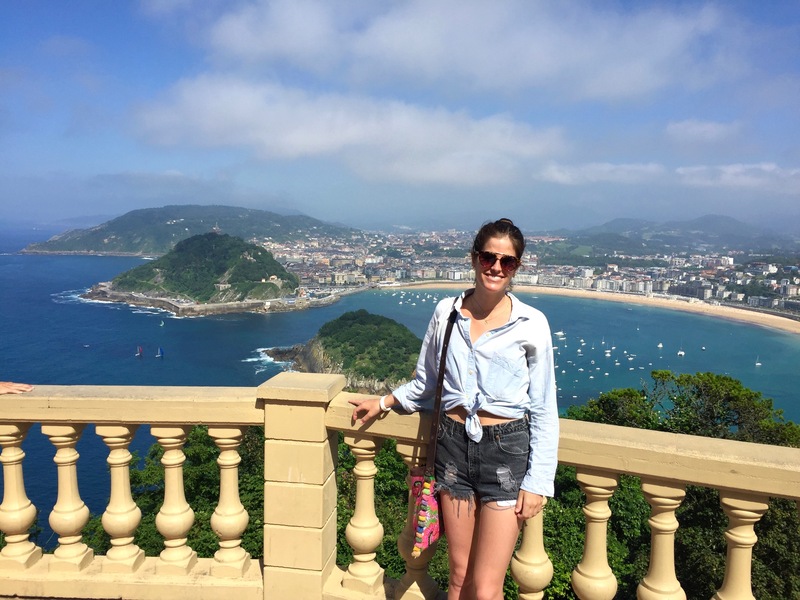 Fortunately, there are plenty of places in SanSe to appreciate its unparalleled beauty. Here are my picks for the 10 best views in San Sebastian – a list that includes well-known sights along with some lesser-known spots that will allow you to get the most out of what SanSe has to offer. 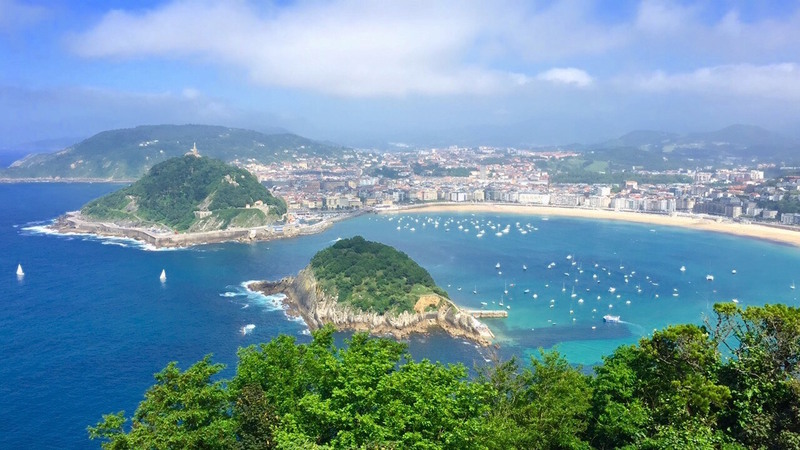 You’ll find some of the best views in San Sebastian on Mount Ulia, one of my favorite spots in the city (see the main pic for this post above). 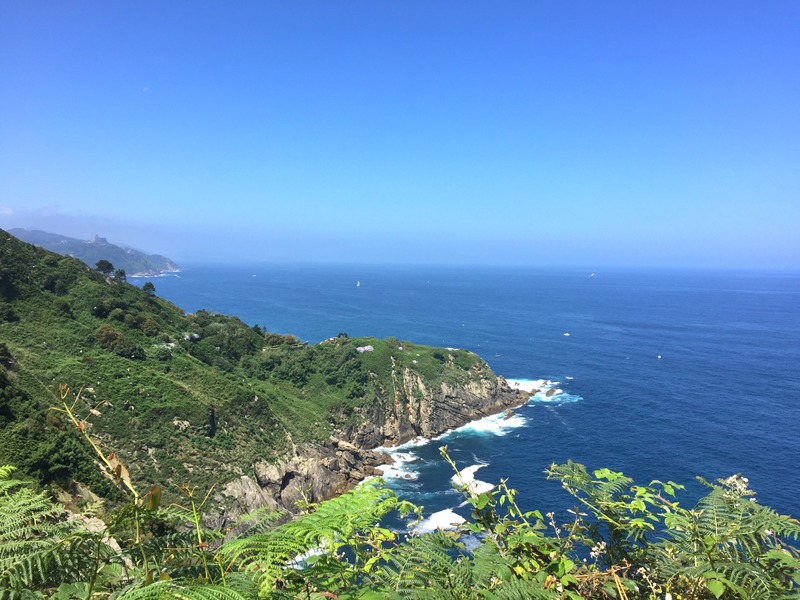 I highly recommend taking a hike along Mount Ulia – check out this trail, which offers jaw-dropping vistas of the surrounding cliffs and Bay of Biscay (my phone background for the past year is actually a pic I took here – too beautiful to change). Access the trails on Mount Ulia at the base of the hill to the east of Zurriola Beach. 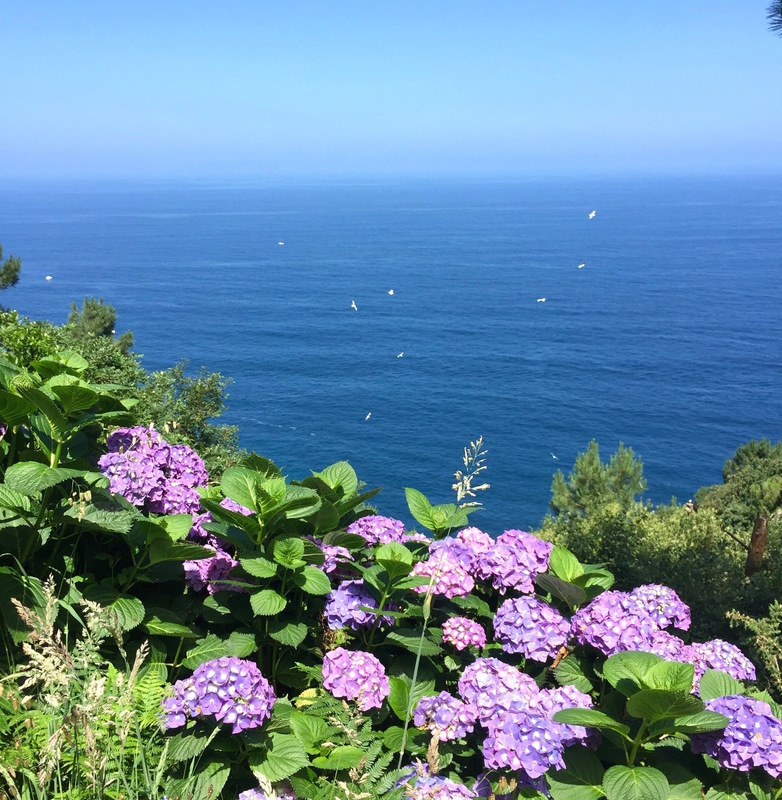 You can choose to walk all the way to Pasaia, or you can walk until you feel satisfied and turn back to SanSe, like I did. If you’re wondering where everyone takes that classic SanSe pic, look no further. Mount Igueldo provides the city’s best-known views, and a trip up is def worth it. 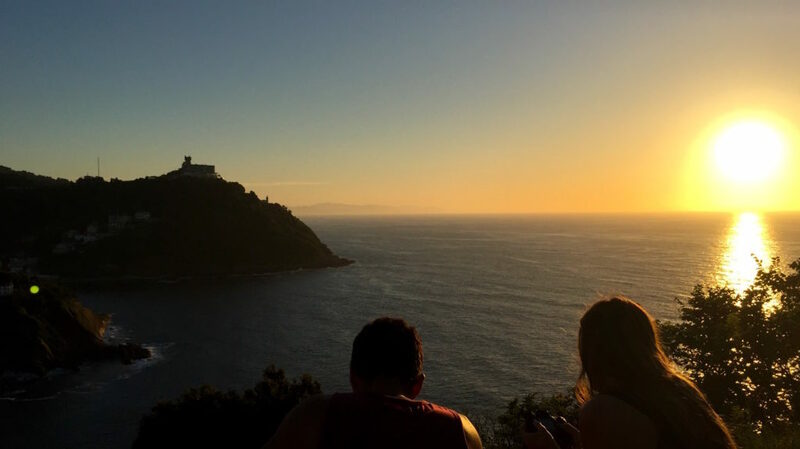 Head up on the funicular and treat yourself to a drink or snack at the top – after taking some pics, of course. 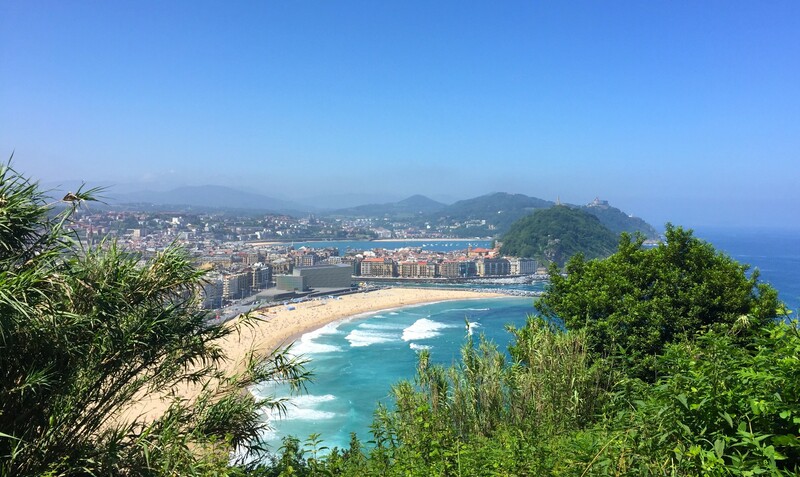 Mount Urgull may not be as well-known as its counterpart on the other side of La Concha Bay, but it’s still got some of the best views in San Sebastian. 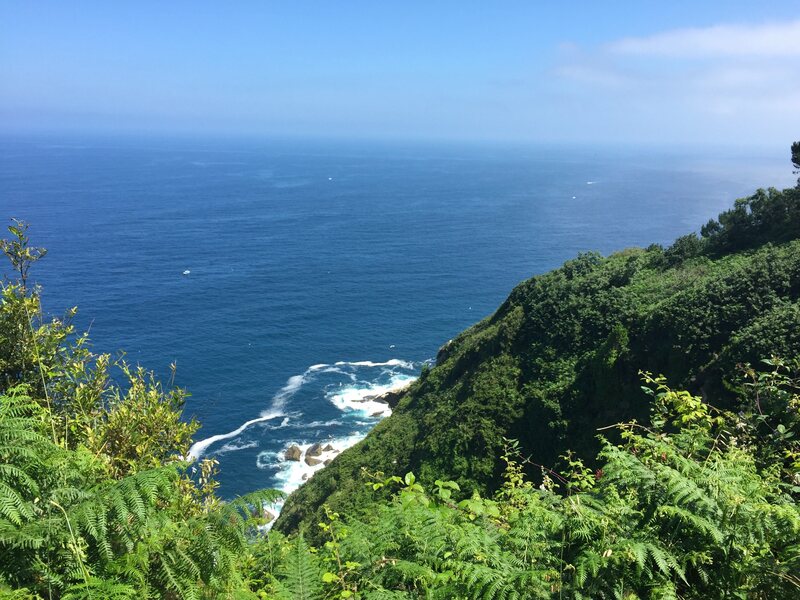 At the top, you’ll find Mota Castle, a 12th-century fortress that provides sweeping views of the Bay of Biscay to the north and La Concha Bay and the city to the south. 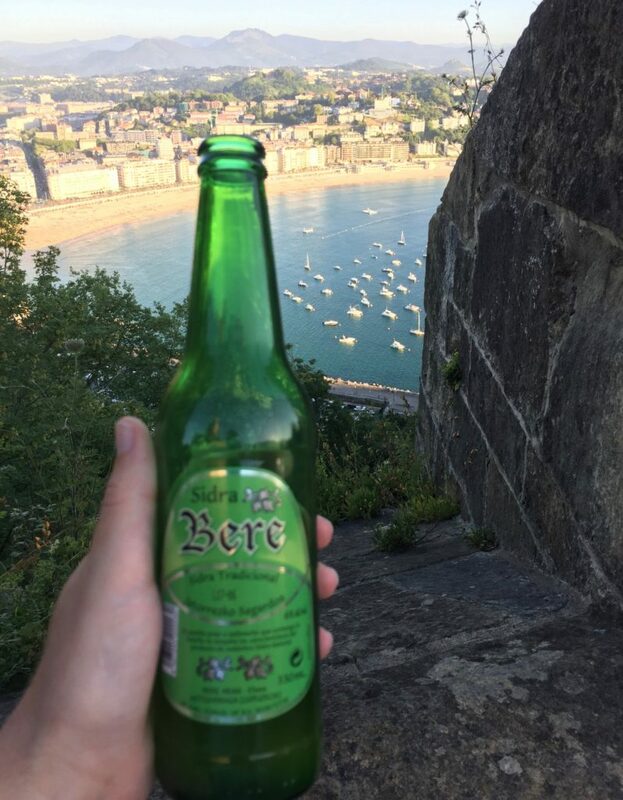 I recommend taking up some beers – or Basque cider – and snacks to watch the sunset. 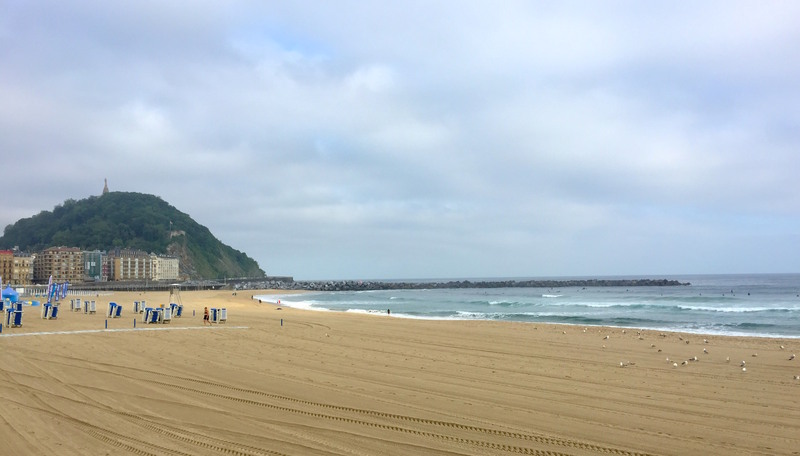 Also take a stroll along Paseo Nuevo at the base of the mountain for more great views of the bay and city. 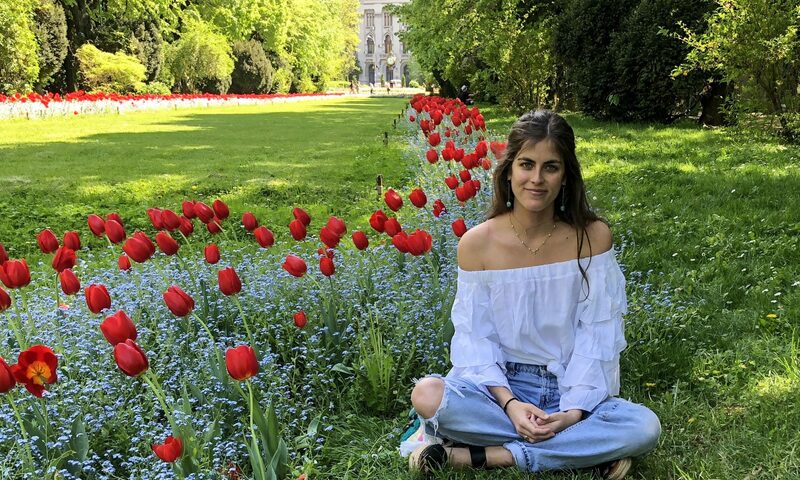 Miramar Palace was built in 1893 for Queen Maria Cristina of Austria, who summered in SanSe – lady knew what was up. 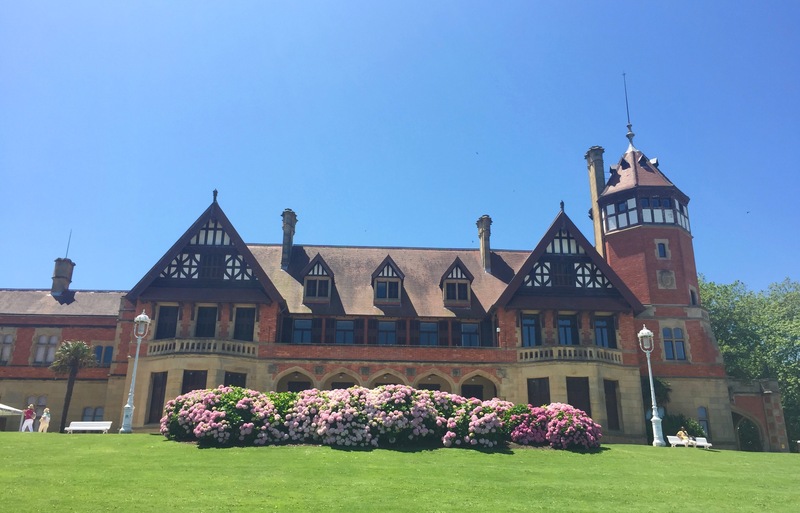 If the architecture strikes you as not exactly Spanish, you’re not far off the mark – it was designed by an English architect and resembles an English country house. 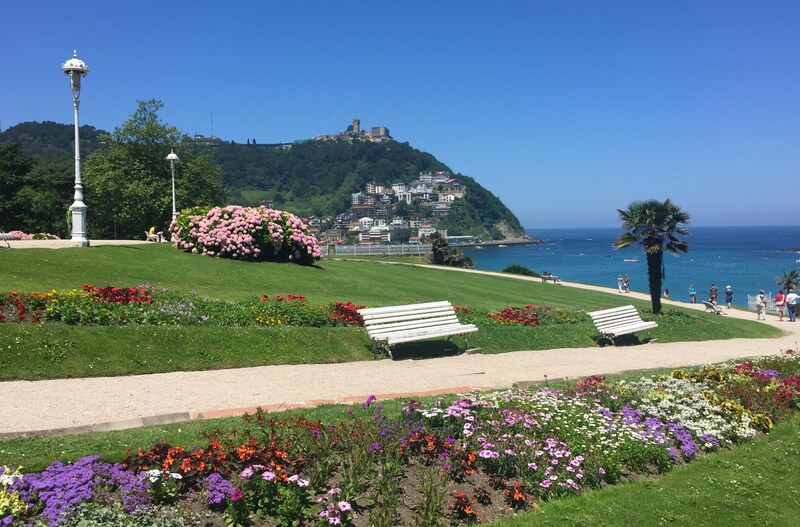 From the surrounding gardens on the hill, you’ll get an awesome panorama vista that is easily one of the best views in San Sebastian. #5. 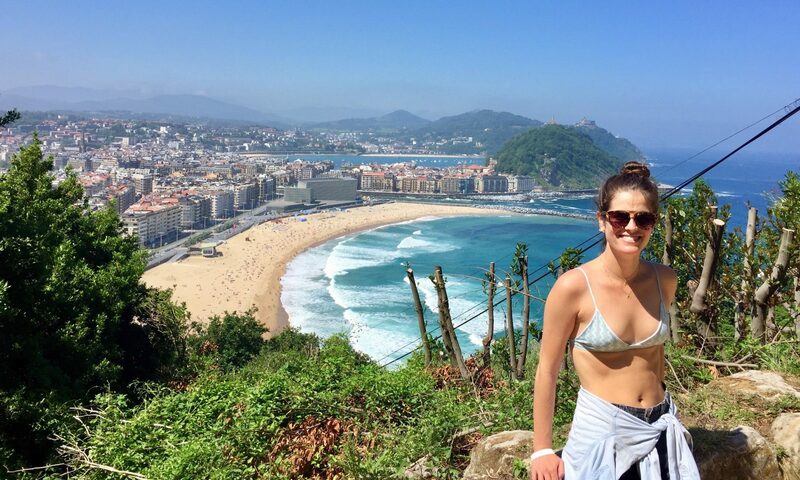 Playa de La Concha. 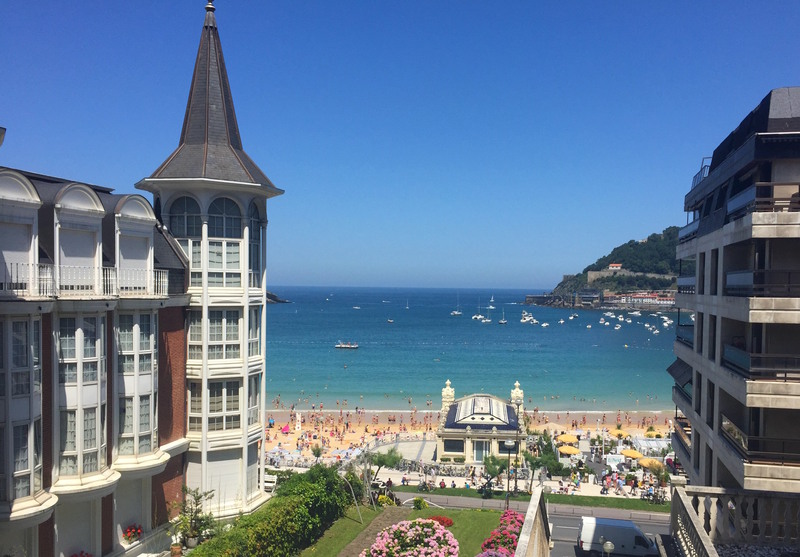 Playa de La Concha is San Sebastian’s best-known beach and serves as the iconic image of the city. 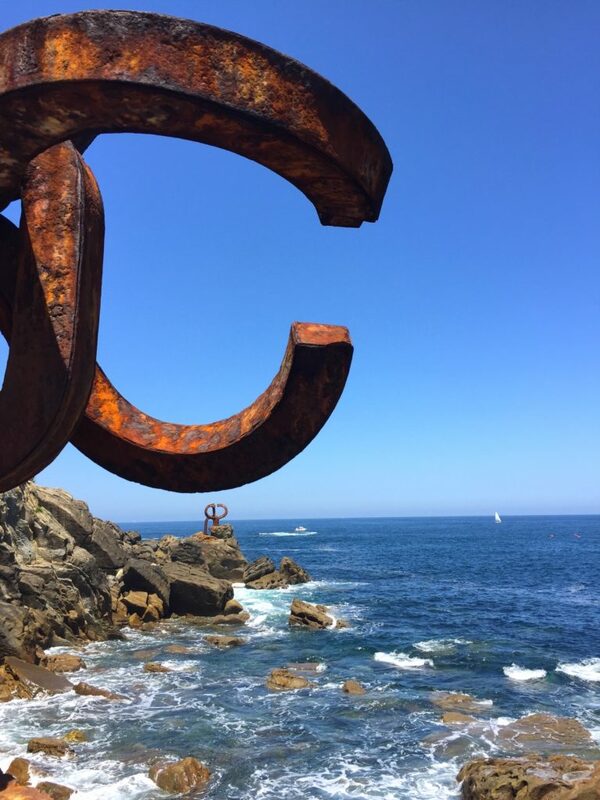 Playa de La Concha offers a variety of views, whether from the beach itself or from the surrounding area. Make sure to snap a pic next to the adjoining city hall, a beautiful Belle Époque building dating from the late 19th century. 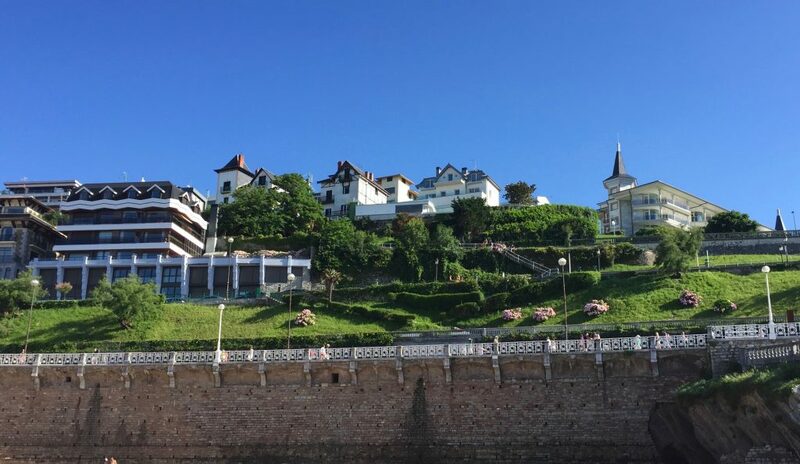 Once you’re lounging on the beach, take your eyes off the gorgeous shore for a moment to look directly behind you – you’ll see chic houses stacked up on the hill directly behind the beach. Uhhh what do I need to do to live there?!? #6. The houses behind Playa de La Concha. As per the above, the houses on the hill behind La Concha are prime real estate. Venture up there and get lost around the houses for great views of the bay. This area is pretty residential and has fairly limited areas to walk, but it’s definitely worth checking out. 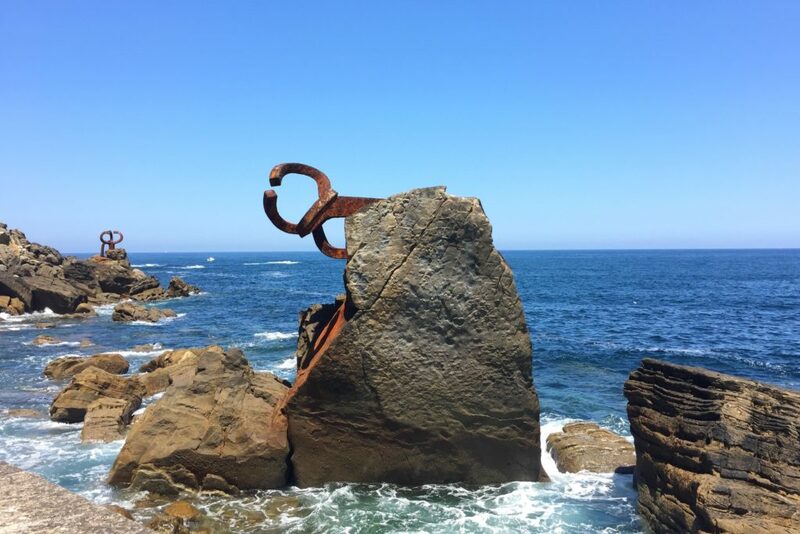 The Peine del Viento, or the Comb of the Wind, is a sculpture by Basque sculptor Eduardo Chillida and architect Luis Peña Ganchegui. The sculpture is comprised of iron installations on the rocks along the shore, which seem to comb the wind and mist as the water crashes in – hence the name. The Peine del Viento is located on the far west side of La Concha and offers a unique perspective of the bay. #8. 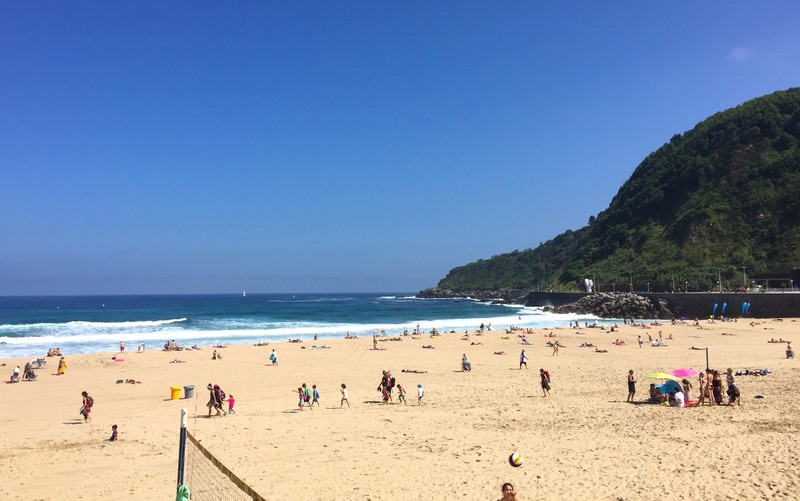 Playa de La Zurriola. Playa de La Zurriola, located in the “trendy,” youthful neighborhood of Gros, is known as the surfers’ beach. Flanked by Mount Urgull to the left and Mount Ulia to the right, it’s a great place to watch the sunset. I actually recommend staying in Gros, which has a cool, authentic feel and buzzes with bars and restaurants but is not as bustling and busy as the old town. 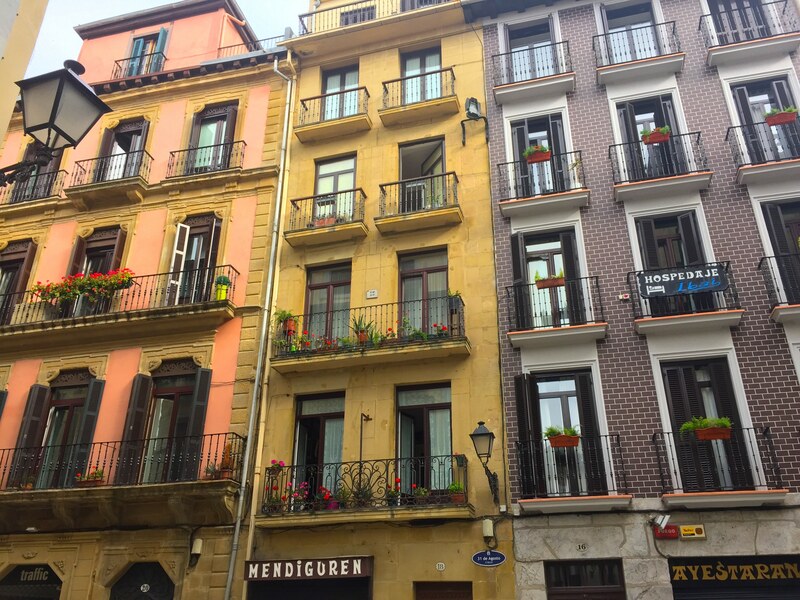 Along the Urumea River, which runs right through the city, you’ll find some of the best views in San Sebastian if you’re looking for impressive architecture. 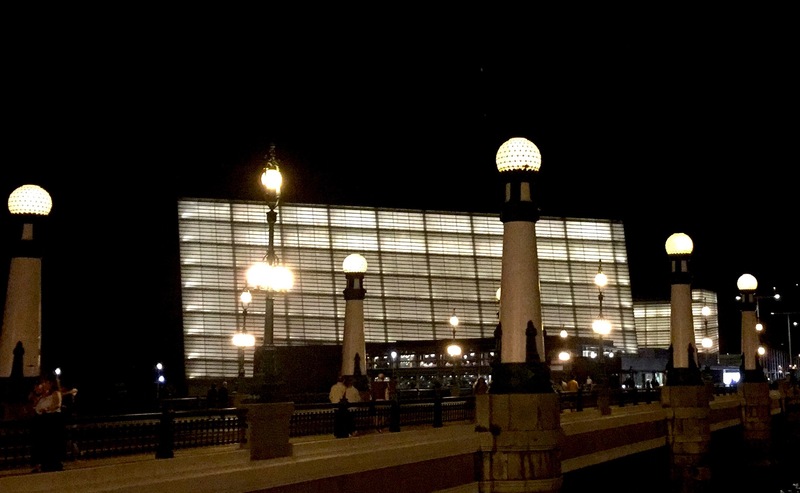 One to look out for is Kursaal, a cultural center comprised of two cube-like structures made of glass. The building was designed to look like “beached rocks” to echo the landscape of San Sebastian – make sure you see it at night, when the “rock” aesthetic is best appreciated. 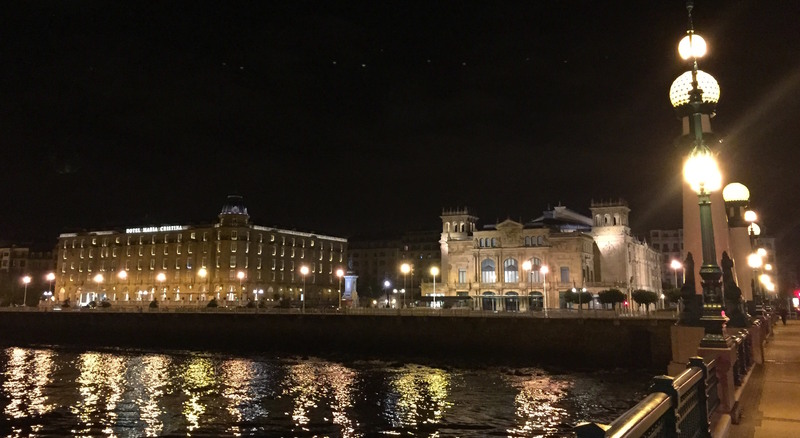 Also check out the Victoria Eugene Theatre and the Hotel Maria Cristina, both of the Belle Époque period, next to each other across the river and also particularly majestic at night. #10. The old town and city center. 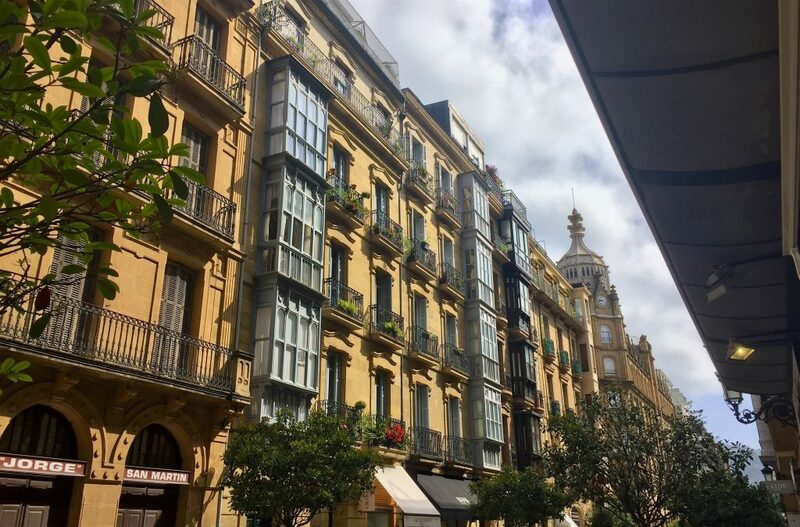 The city center, sometimes referred to the “romantic area,” and the old town are good for views of a different kind: charming facades and churches. 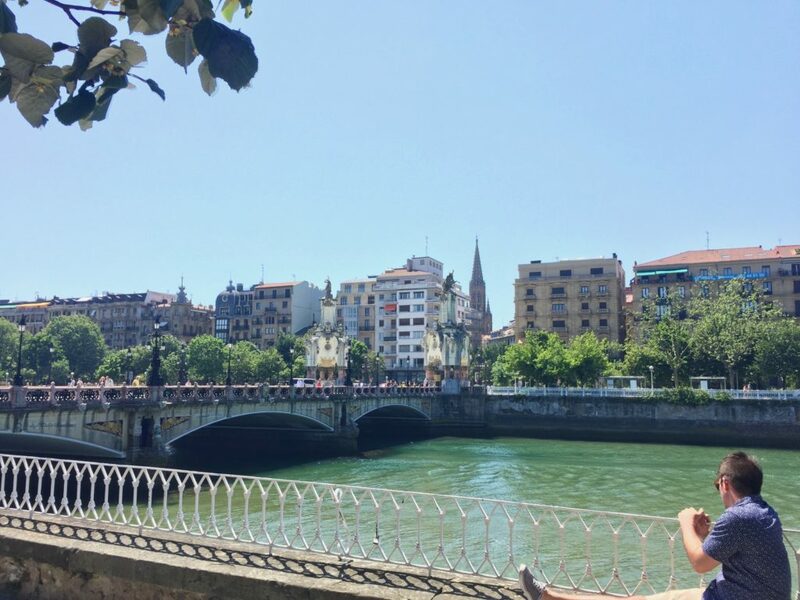 Look out for the Basilica of Santa Maria along with the San Vicente Church as you duck in and out of pintxo bars in the old town. 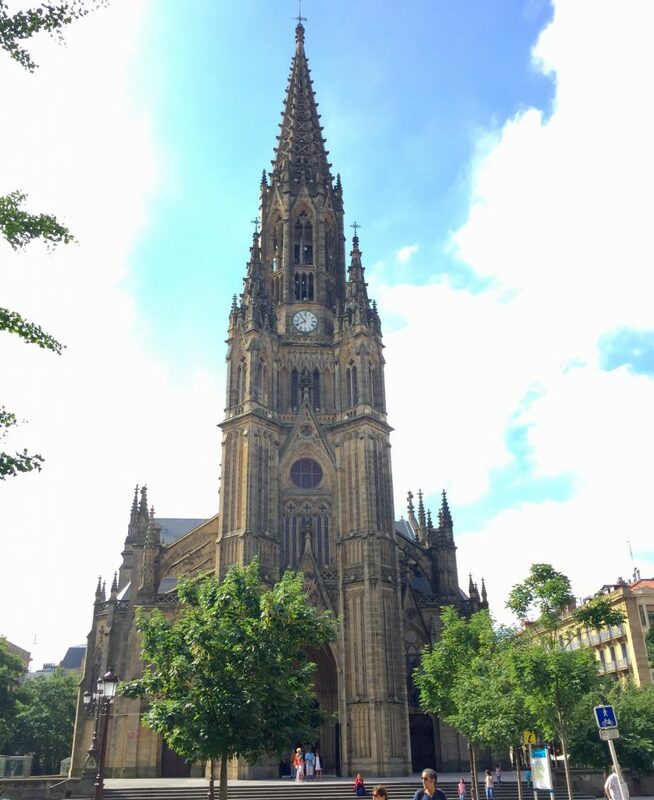 The city center is home to the elegant Good Shepherd of San Sebastian Cathedral, whose tower can be spotted from a distance. 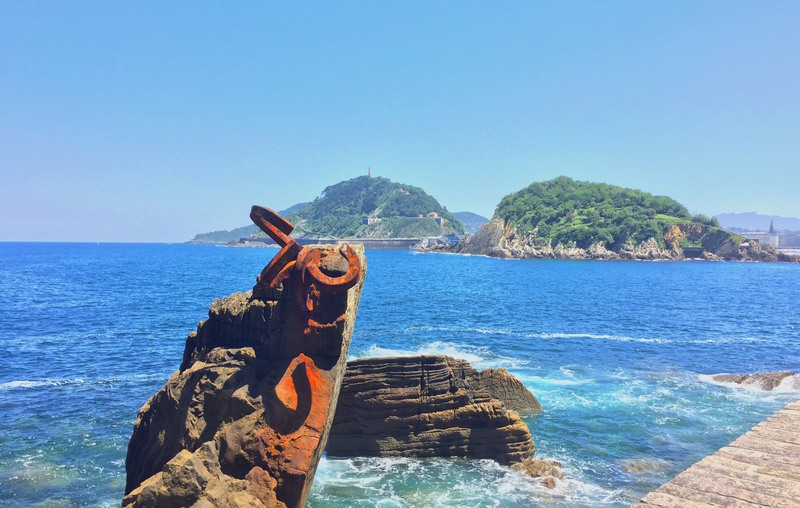 This area may not offer spectacular natural scenery like other parts of town, but it is lovely for a nice paseo – I’m telling you, SanSe has it all! 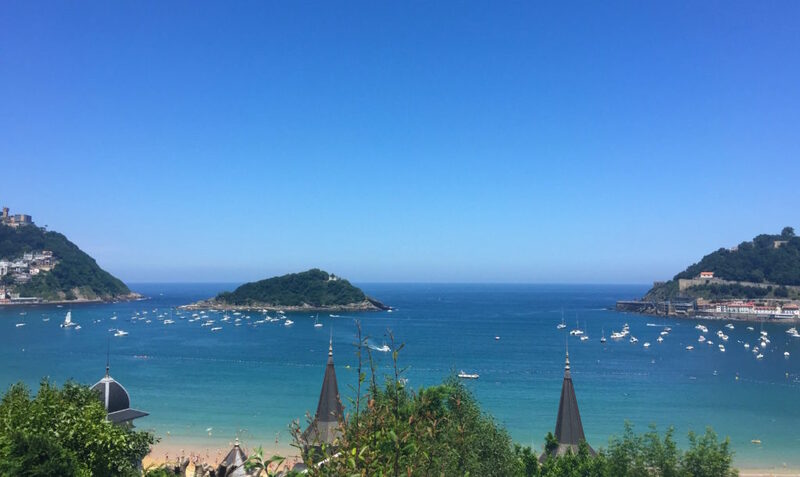 San Sebastian surpassed even my highest expectations. It is a MUST for any trip to the north of Spain! What do you think are the best views in San Sebastian? Have you been?